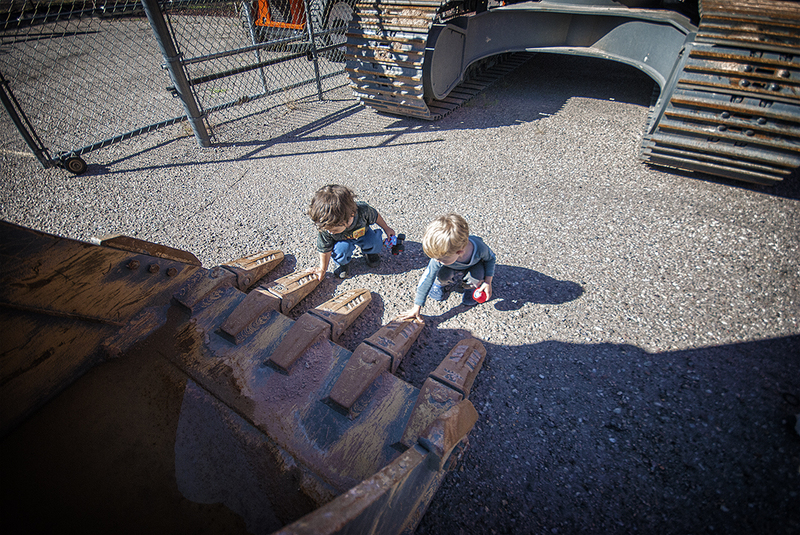 Took the little guys over to look at some mighty machines nearby the house. It turned out that the place was a machine rental facility. One of the workers came up to us and checked that we were doing okay. After explaining to him that the little guys just really love the machines, he said he knows exactly how that is - he feels the same way.